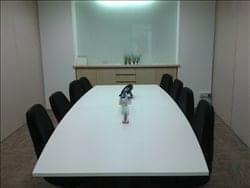 Find My Workspace lists over 95% of the serviced offices market in Tanjong Pagar. Simply click Request Quote to check pricing for one office, or Add to Basket for multiple offices. In February 2019, the centre is opening its second location with 18,600 square feet across two floors in the heart of Singapore’s Central Business District. With the same great design, a spectacular sea view, and a central location, the centre bringing it to greater heights on the Penthouse floor. With an expansion in the programs and resources offered, the centre has become a lifestyle hub and acceleration platform for business leaders who are keen to grow their businesses together. The centre provides 24 hour access, 24 hour security, administrative support, air conditioning, CCTV, reception services and WIFI for your daily office use. This centre tailors a plan to suit all client needs. The services offices are fully furnished and equipped and there are options for one, two or four persons. A meeting room, high-speed wifi, IT and secretarial support ensure that all business people can work professionally in this work environment. In addition, pantry facilities with complimentary tea and coffee, a refrigerator as well as air-conditioning and secured 24-hour access allows tenants to feel comfortable and safe whilst at work. This centre is in the heart of the financial district, on Robinson Road. The commercial space is primarily used for office rental and sale, with flexible office solutions being the most popular. The centre is only 4 minutes walk from Tanjong Pagar station and 5 minutes walk from Raffles Place station and 3 minutes walk from Telok Aya station. The centre provides Free usage (WIFI and LAN), Furniture, Desk, Chair, Cabinet with key are included other office facilities. Client can begin working immediately. The centre provides 24 hour access, air conditioning, beverages, lift, reception services, and free WIFI to support your daily office work. The centre is a 52-storey landmark building with a 365 degree view of the city, and is situated right above Tanjong Pagar train station. This location marks the 3rd Centre of the operator, with the same award-winning design. On this level is our unique business club, a membership club that sets this centre apart from all centres in Singapore. Our award winning products are known for their beautiful forms, cutting edge design, and for delivering the highest standards in workspace performance. Our mission is to develop offices that change the way people feel about coming to work, foster a culture of sharing and exchange, and bring the best out of every individual. These centres are known for design that not only looks beautiful but works great too. Working with top architects and thought leaders in the world, this centre is a leaders in design thinking for workplaces. The mission is to develop offices that change the way people feel about coming to work, to foster a culture of sharing and exchange with the largest inventory of meeting spaces in Singapore and to bring the best out of every individual. 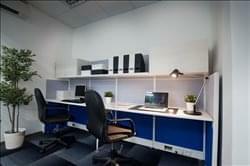 The offices are designed to accommodate teams from one person to 300 persons on a daily basis for as long as you want. Membership categories are specially designed to suit all different kinds of companies. Whether you are a freelancer who travels a lot and requires only a few days in the office or whether you prefer to have a fully indulgent office and networking experience, this centre has something to suit all your needs. Work better, live better – the carefully selected Work Experience Team & on-site IT support team will ensure you become more productive and focus more on your work and less on office management duties. To obtain information for your selected Tanjong Pagar Serviced Offices, please tick the "Add to basket" box for each office you prefer and complete the form below. We will then send a detailed report via email.